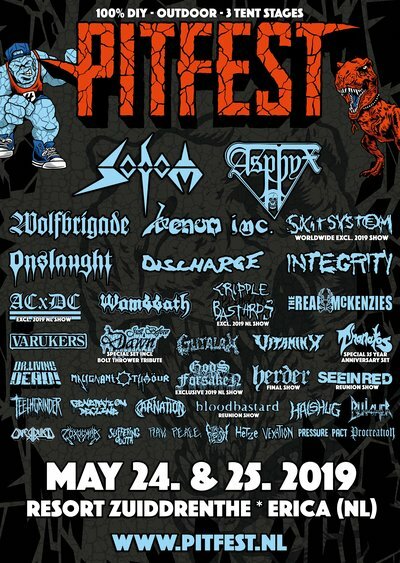 On June 4 (Saturday) and 5 (Sunday), the Goffertpark in Nijmegen will be packed with metalheads because of Fortarock 2016! 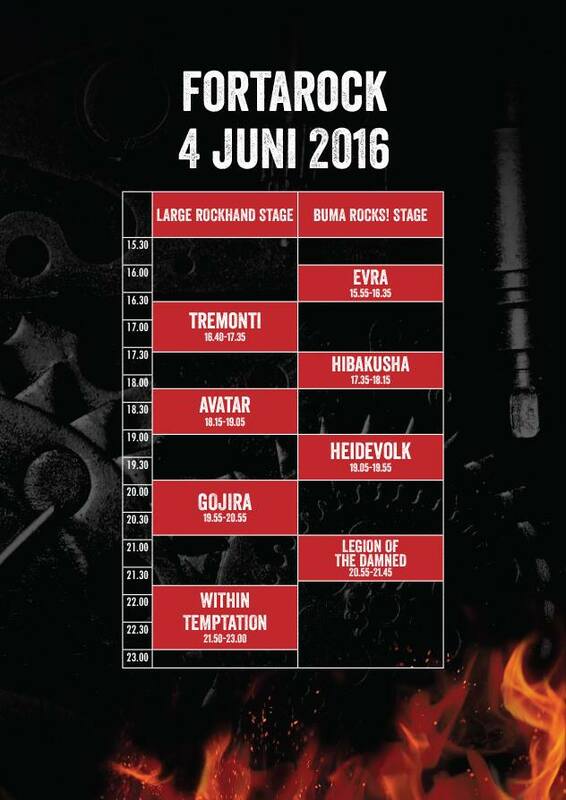 Day 1 can be considered as a ‘Dutch metalday’, with Hibakusha, Heidevolk, Legion Of The Damned and Within Temptation. 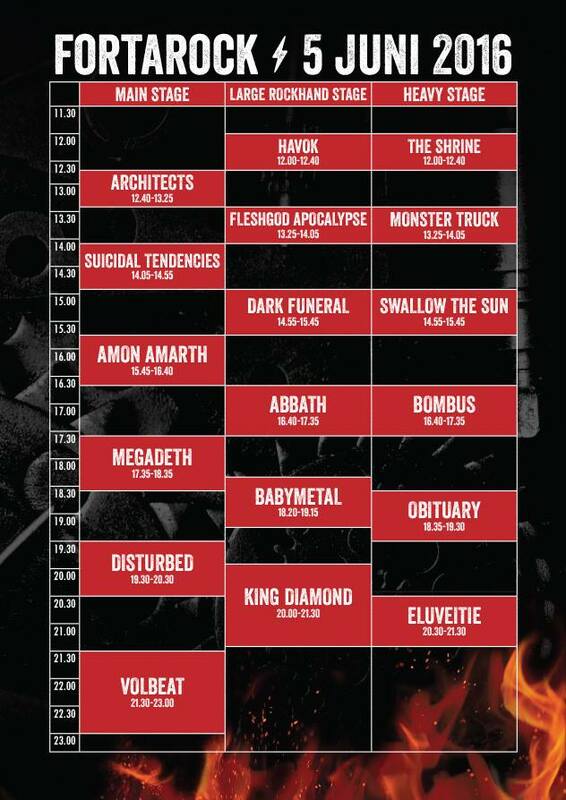 Day 2 is the mainday of the festival, with acts like Obituary, Disturbed, Megadeth, King Diamond and Volbeat. 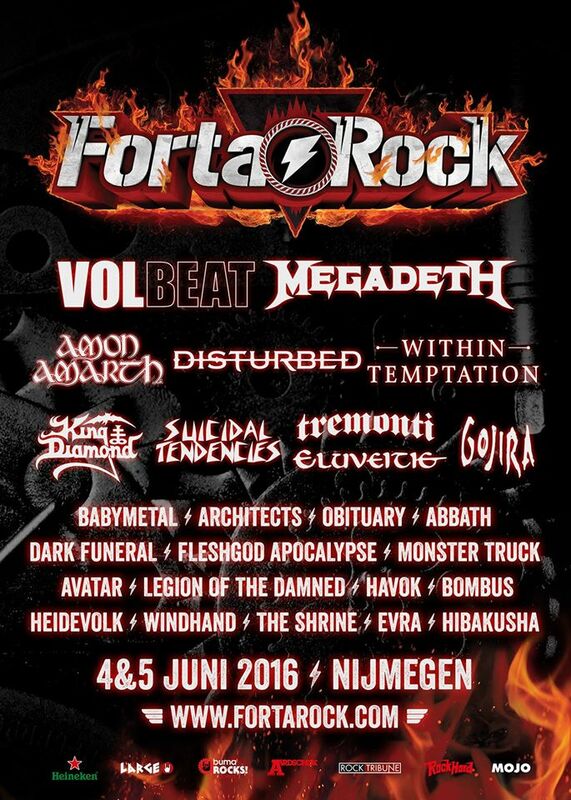 Tickets are still available at www.fortarock.nl!